Not once, twice but three times WOW! I started it yesterday and read up to 60% and I still did not want to stop, but then sleep interfered. How I wish I could drink some kind of healthy potion to keep me going and save me from those lost hours in which we have to sleep. If you are looking for an author who knows how to write a book that messes with your head, don’t look any further. You feel for Alexandra, but suddenly you hear a different story and it seems like she is the bad ‘guy’. Your feel like a ball in a tennis game, because your mind keeps changing direction and you don’t know who is right or wrong anymore, who you should feel sorry for, who you should hate. And then everything is revealed … 5 stars. 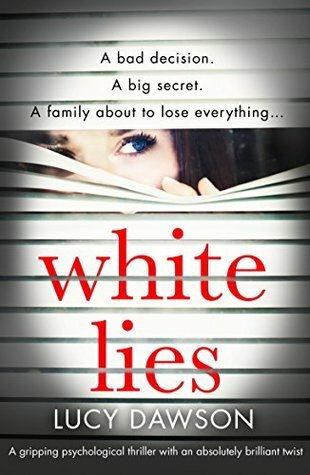 A big thank you to Lucy Dawson for dragging me into your story and keeping me there until the end and to Netgallye and Bookouture as well of course.